How to active the Shipping Cost Calculator extension on your site? Enable Calculatorshipping On Frontend: turn on/ turn off module. Estimate Shipping Popup Title: fill in tittle of “calculator shipping” popup. Estimate Button title: fill in title of button that your customer click to estimate shipping cost for product. 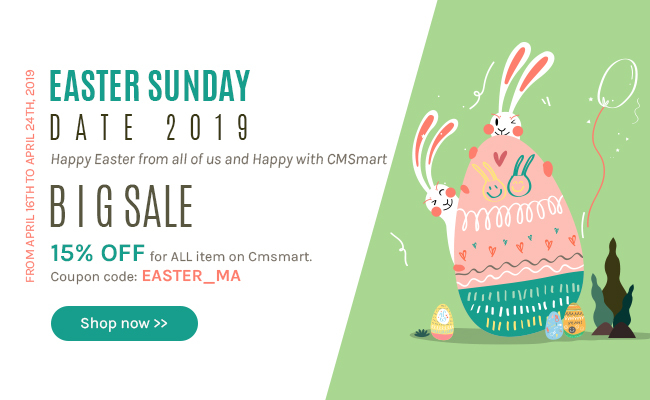 Show Calculatorshipping On The Category Page: allow to show Calculatorshipping for products on the category page or not. Allow Detect IP: When you select Yes, you will see link “Get informations from IP address” in “Calculator Shipping” form. And, when you click this link, it will fill address (country, state/province) automatically. 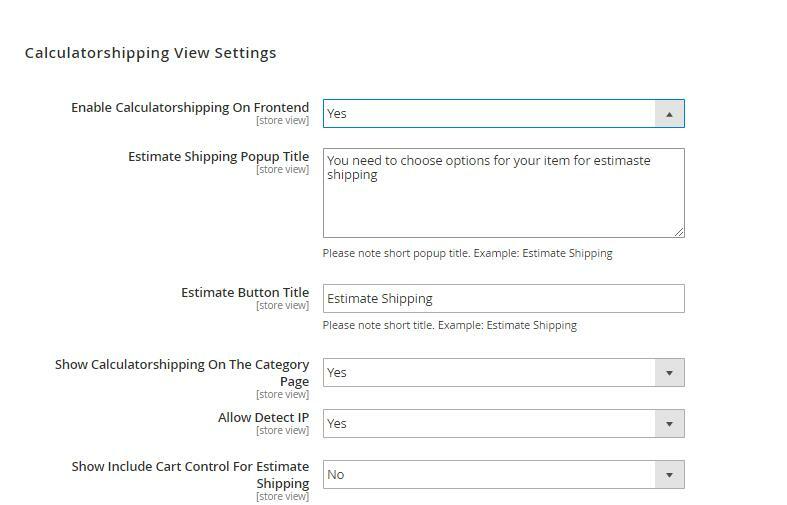 Show Include Cart Control For Estimate Shipping: When you select Yes, you see checkbox in “Calculator Shipping” form. And, when you tick on this checkbox, it will estimate the total shipping cost for both the selected product and the available products on your cart. Click on to save your config.